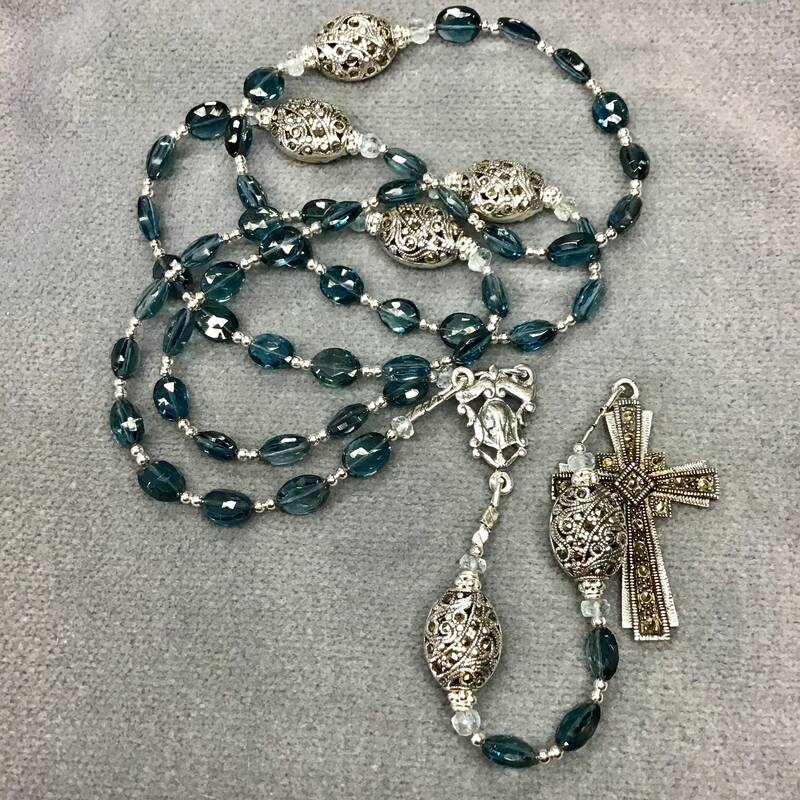 This exquisite Rosary features deep London Blue Topaz in a flattened oval with larger Marcasite Bali Bead Our Fathers and a vintage Marcasite Cross. 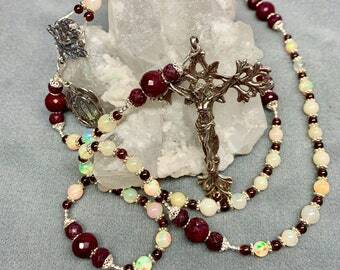 It’s a beautiful Rosary, compact and easy to pray, with lots of sparkle and shine. The Topaz is gem quality and well faceted. The color is perfect and even. 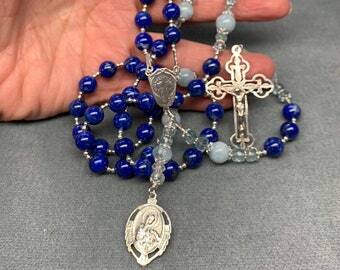 Bead size is 6x8mm Hail Marys and 8x12mm Our Fathers These beads make a Rosary of traditional size, small enough to keep in a small Rosary bag in your pocket or purse. 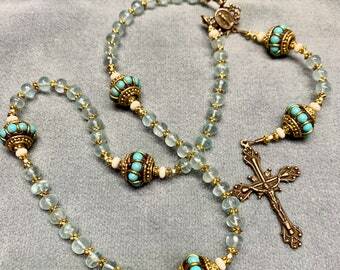 It would make an extraordinary gift for an anniversary, a birthday, even a gift of ‘something blue’ for the bride. 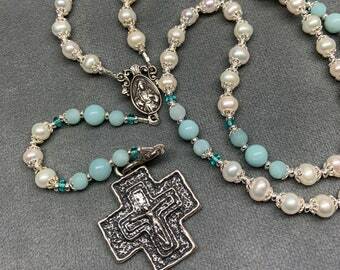 Check out the store at HeartFeltRosaries.com and see the whole collection!